You can browse the archives for this section. 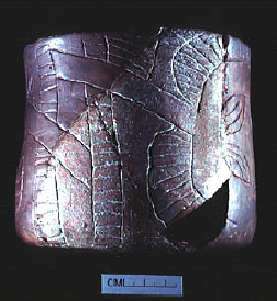 Engraved beaker from Cahokia site, donated by Moorehead, ISM collection. Image courtesy of B.W. Styles, Illinois State Museum-RCC.